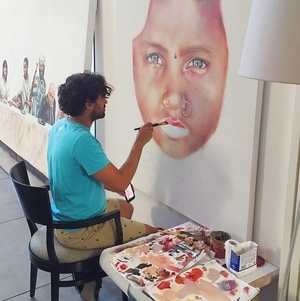 Art Unified artists Stephanie Jory and Joseph Lee are available for portrait commissions. 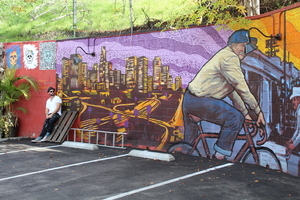 Street artists Kelcey Fisher (KFISH), Paige Smith (A Common Name) and Dan Monteavaro (Moncho 1929) are available for mural and installation projects. All other Art Unified artists are available for commissioned pieces in their particular style. Submit your commission request to the Art Unified team, who will connect you with the artists. From there, you and the artist will work together to develop an idea for the commission subject. Once you and the artist have developed your idea, a photograph will be staged or designed for the artist's reference purposes. After the image is created, you and the artist will communicate to agree upon the image as a reference image. Joseph Lee is an actor and self-taught artist based out of Los Angeles. His training in the theater as well as other life experiences has reinforced his fascination of channeling ones soul through the art of portrait. Learn more about Lee at his Artist Page, or visit our blog to read about Lee in Art Unified's 'Inside the Artist's Studio' series. Johan Andersson is a Swedish born BP portrait award winner, exhibited at the National Portrait gallery as the youngest ever. His work is available as commissions from $10,000. Lear more about him here. Our street artists are available for installation and mural commissions for public and private spaces. Pricing will vary according to commission size and materials used. Reach out to us for pricing quotes and artist availability. Los Angeles-based artist Kelcey Fisher (KFISH) bridges the gap between studio and street art, creating a new species through hybridization. Fisher sets figures afloat in a sea of color and contrast, juxtaposing the steady warmth of an icon with the vibrations of a multicolored backdrop. He is a consummate master of creating quiet chaos in the mind of the viewer, yet gifts them with the calm of intelligent aesthetics. Above all, his work evokes his personal qualities; artistic deft, an appreciation for a wide spectrum of lifestyles, and an eternal sense of warmth. Learn more about Fisher at his Artist Page. Paige Smith (A Common Name) is a visual artist who lives and works in Los Angeles, CA. She is most notable for creating “Urban Geode,” a street art series of sculptures that resemble geodes, made entirely of paper and resin casts. Always interested in geology, Smith started to notice the nooks and crannies in the sides of buildings, walls, and abandoned phone booths within her community of the Historical Arts District (in Los Angeles). 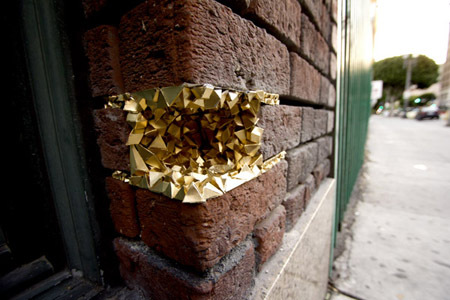 Seeing this as an opportunity to create, Smith took street-art to a whole new level. Each “geode” is puzzled together out of individual polyhedra that are in turn made of hand folded die-cut paper or roto-cast resin. The finished pieces seem to explode out of walls, frames, and cracks in the city. Each installation is a hidden treasure waiting to be discovered as people go about their daily routine. Her work has a palpable sense of “Magical Realism” that says, “Take a look around, notice the small things. Find wonder and beauty in the mundane and forgotten.” Learn more about Smith at her Artist Page or visit our blog to read about Smith in Art Unified's 'Inside the Artist's Studio' series. Incorporating images from mass media and comic book imagery, Dan Monteavaro (Moncho 1929) plays with the familiarity of those images and the comfort that comes when looking at pixel-based art. The beauty to Monteavaro’s work is more in the missing portions, therein lies a communication between artist and material that then resonates with the viewer. In this way the works begin a dialogue with the viewer that begins to unravel. 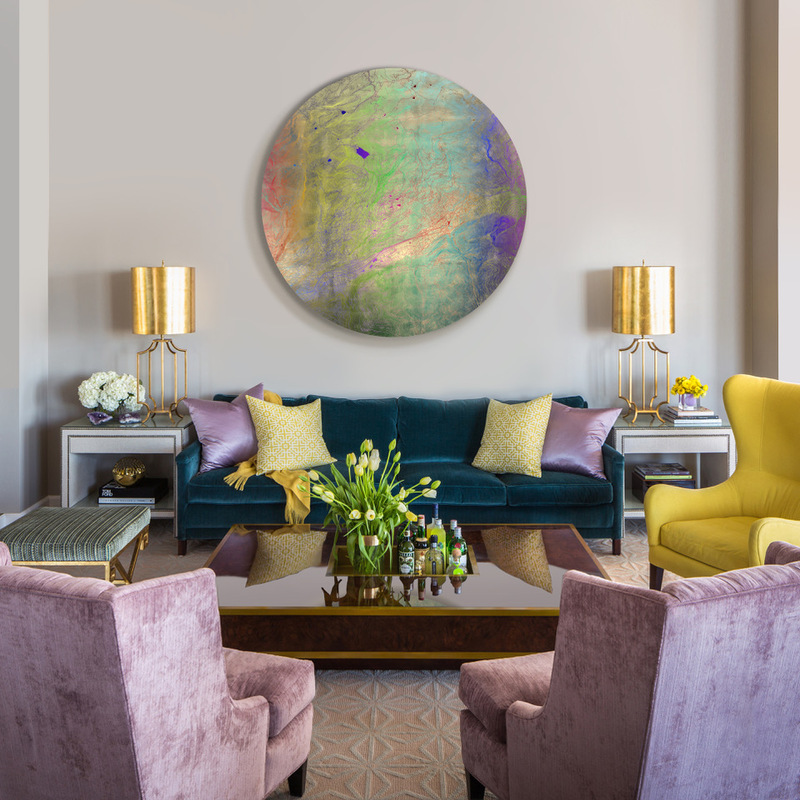 Originally born and raised in New York City, Monteavaro has lived and worked in London, Italy, Korea and Los Angeles. Through all these transitions, modern media and the world of urban art have exerted a powerful influence on him. 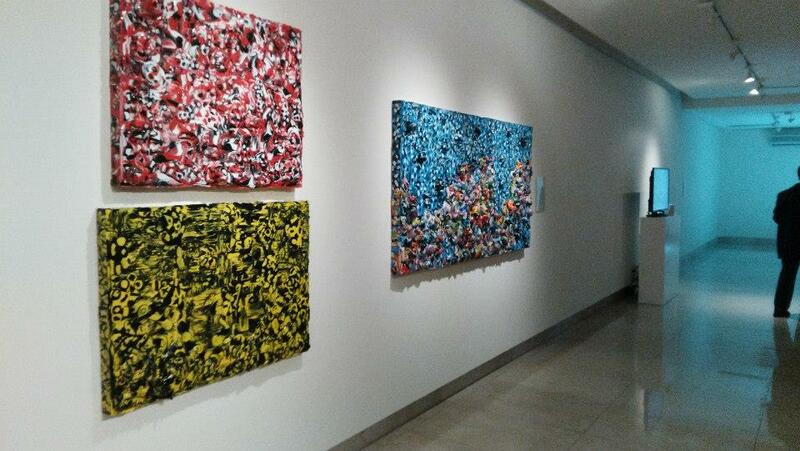 His work has appeared in numerous galleries and private collections. 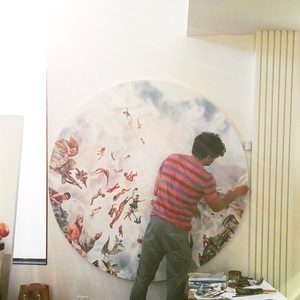 His current works can be seen at an upcoming solo exhibition at Soho House Los Angeles, as well as being currently shown in Los Angeles at Bruce Lurie Gallery, LabArt, Wallspace, and in New York at Cheryl Hazan Contemporary Art. Learn more about Monteavaro at his Artist Page or visit our blog to read about Monteavaro in Art Unified's 'Inside the Artist's Studio' series. Looking for custom neon signage or artwork for your business or home? Art Unified's David B. Anthony specializes in custom neon artwork and has undertaken commissions for prolific brands like Snapchat. 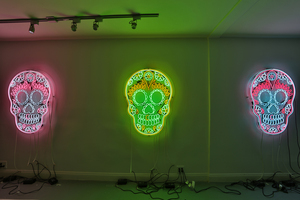 Learn more about David B. Anthony at his Artist Page or contact us for a full portfolio of the artist's neon work. All other Art Unified artists are available for commissions. Check out our full artist roster on our Artist Page. If you see an artist whose style you love, reach out to us by clicking on the button above. We'll contact the artist and get you both started on the commission process!